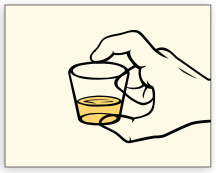 Direct patient to provide first-catch urine (approximately 20 to 30 mL of initial urine stream) into urine collection cup free of any preservatives. 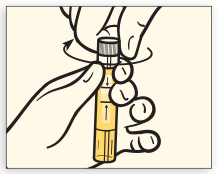 Collection of larger volumes of urine may result in specimen dilution that may reduce test sensitivity. Female patients should not cleanse labial area prior to providing specimen. Remove cap from urine specimen transport tube and transfer 2 mL of urine into urine specimen transport tube using disposable pipette provided. 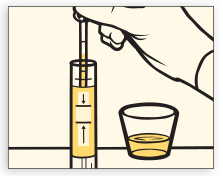 The correct volume of urine has been added when fluid level is between black fill lines on urine specimen transport tube label.